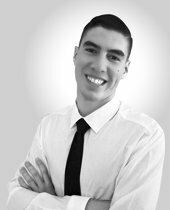 Elijah Fausto, REALTOR/Mortgage Loan Originator has over 5 years in the Real Estate/Mortgage industry. Elijah is passionate about helping people find their perfect home and secure a home loan. With such impressive skills, Elijah is sure to land and finance your dream home in no time.